This unit features the same microphone amplifier as the rm3 with the addition of an excellent quality simple three band equalizer. There is also a compression option (push on/off) which can be very useful for tracking signals to DAW. 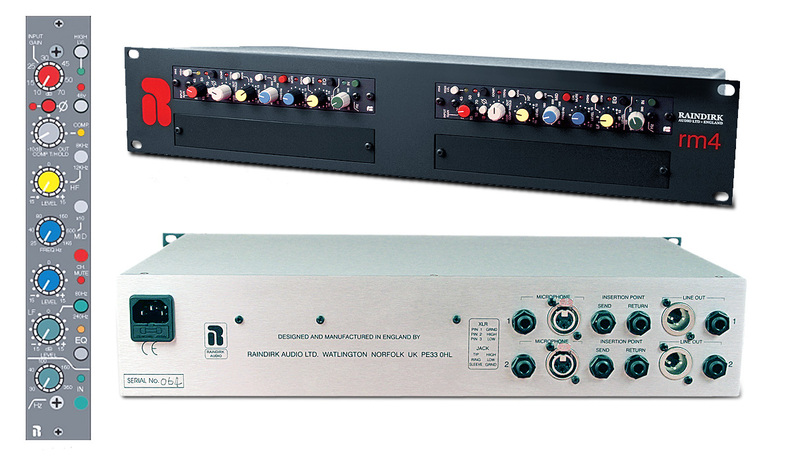 Equaliser, HF at 2 frequencies, Variable frequency Mid,ranges 25Hz to 1K6 and 250Hz to 16KHz, bass at 2 frequencies. EQ in/out switch.